Hence there will not be any heavy burden on the government in the initial stage, she said. RBSK is intended to provide comprehensive healthcare and improve the quality of children's life through early detection of birth defects, diseases and deficiencies. But the main problem the state will encounter under the scheme is that -- there are no adequate centres offering specialised treatment facilities. "The number of centres is limited and hence our main focus should be on equipping the centres for which we will need more funds,'' said Beena. Several diseases like juvenile diabetes will require prolonged treatment as we will have to give insulin regularly and conduct periodic blood check-ups. Hence we will need more funds in such situations, she said. 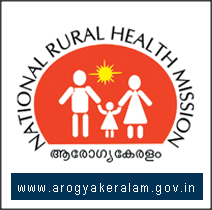 "NRHM is planning to seek the support of several agencies for providing training to doctors and others to exptend this scheme to more centres,'' said Beena.